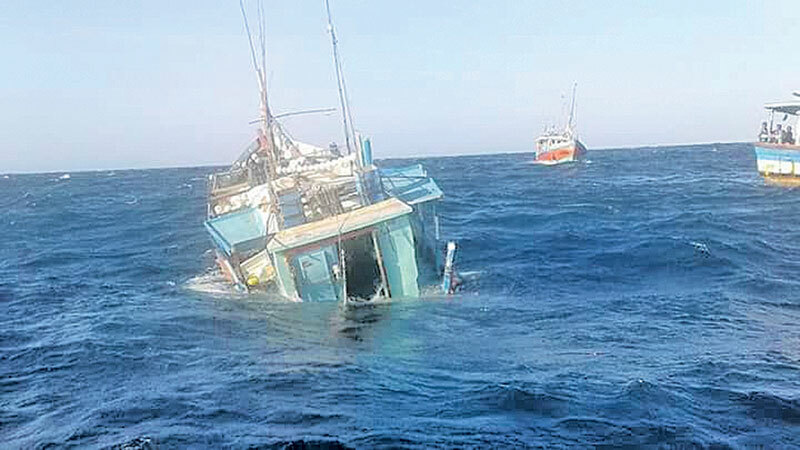 Four persons had been killed and two others had gone missing when a multi-day fishing vessel met with an accident in the seas off Galle yesterday. The vessel named “Malindu Putha” had left the Beruwala fishing harbour on Wednesday carrying seven persons. The Police said the life of one person had been saved by the Navy. The Navy also found the bodies of four persons. The bodies and the rescued person were handed over to the Galle Harbour Police by the Navy. The fishing-vessel is said to have collided with a large ship in the seas off Galle. The Navy is continuing rescue operations.